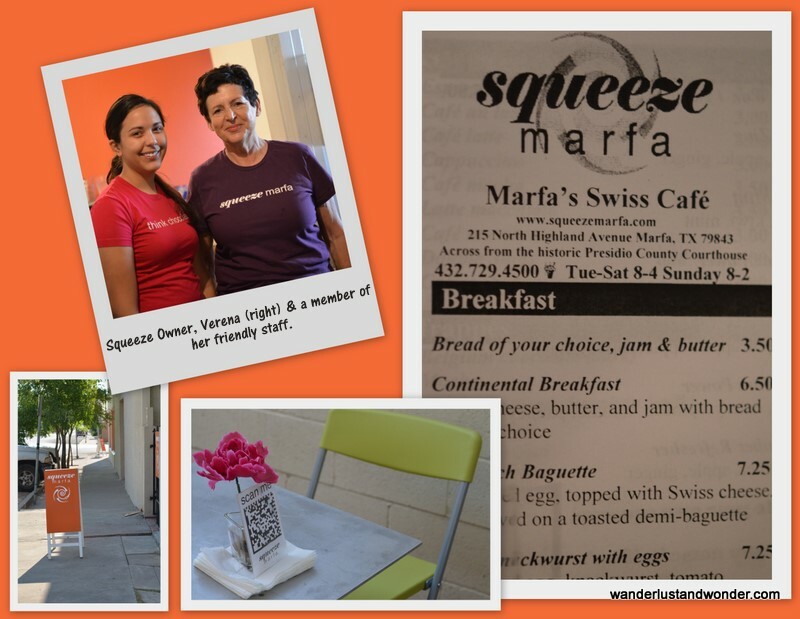 In doing research for an upcoming magazine article on the wonderful city of Marfa, I had the pleasure of meeting Verena Zbinden-Vollenweider, owner of Squeeze Marfa. 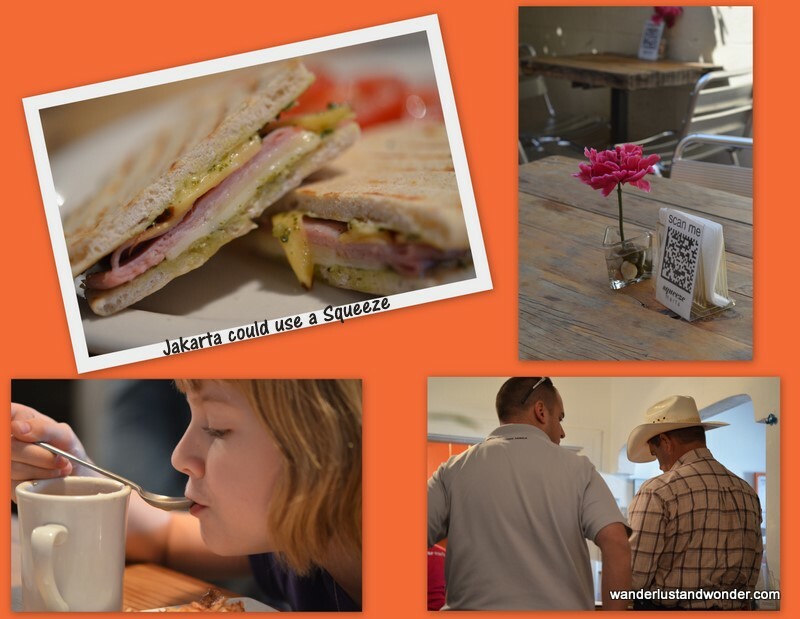 Squeeze is a charming swiss café in the middle of West Texas. Verena has created a menu that makes venturing out for breakfast entirely worth the trip. Fresh coffee, waffles topped with chocolate and whipped cream, and deliciously creative sandwiches are among the tasty offerings Verena whips up everyday. Verena herself is a delight to talk to. Warm and engaging she opened Squeeze after finding retirement life to be a little boring for her liking. Her little café caters to local folks and tourists alike–anyone who comes through her door instantly finds a great meal and makes a new friend.